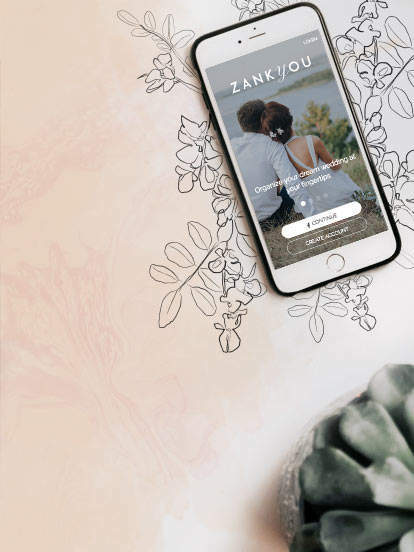 Get the most out of your wedding with the Zankyou app. Your guests will love it! The Zankyou app can make your wedding even more enjoyable. Follow all of the activity straight from your smartphone: guest messages, photos, music, etc. Share the wedding agenda with your guests. Then they won't even need to look for the wedding invitation as they'll have everything they need on their phone. Create gifts for your wedding registry with ease. Simply take a photo of anything that you want and turn it into a gift on your registry. With the privacy settings that Zankyou offers, you can decide who has access to your app and wedding website.